Clean air filters matter. It's important to routinely monitor them so that, when they become clogged with all the dirt, dust and debris that they filter out of the air you breathe, you can respond with a clean filter for better indoor air quality and improved energy efficiency. When the air filter is clogged, your furnace will strain harder to remove these contaminants, increasing your utility bills and shortening your HVAC equipment’s life. 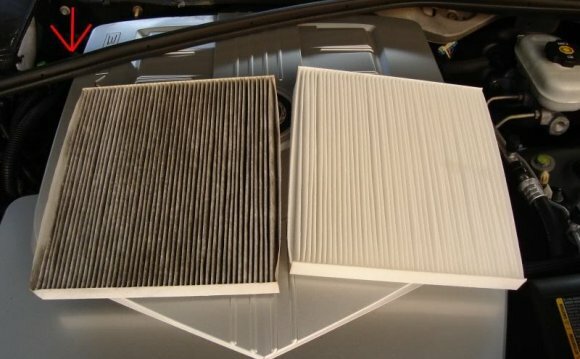 Just like a car's air filter, a dirty furnace filter starves the engine in your furnace for air. In fact, a government study indicates that replacing a dirty, clogged filter with a clean one can lower your central air conditioner's or furnace's energy consumption between 5 and 15 percent. > Here's how to choose the best furnace air filter. To Properly Insert a Furnace Air Filter, Look for the Arrow! Ok, so you have realized that now is the time to change your air filter. You have the new one in front of you and the old one still in the furnace. Now what? 1. On your new filter, find the arrow that indicates the proper air flow direction. This tends to confuse everyone more than anything else. That arrow must always face toward the furnace and away from the return duct that carries the air in need of heating or cooling. Forced air furnaces recirculate air throughout a home: pushing air (cool or heated) in and pulling spent air back in for another cycle. 2. Slide the new filter in with the arrow pointing toward the furnace, and you are done. Here's a helpful 1:42 minute video from Liberty Homes titled insert your home air filter. Replacing your air filter is not difficult as long as you understand that air flows from your ducts, through the filter, and into the furnace. The arrow on the filter always should point toward the furnace.